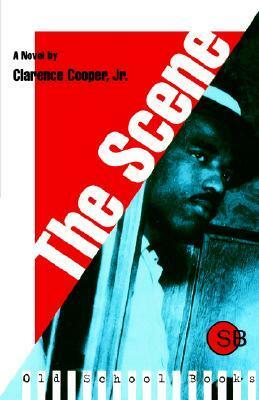 The Scene by Clarence L. Cooper Jr.
We’d love your help. Let us know what’s wrong with this preview of The Scene by Clarence L. Cooper Jr.. Preview — The Scene by Clarence L. Cooper Jr. The Scene is an urban half-world of drug pushers and users, of pimps and prostitutes and narcotics detectives, laid bare in this explosive novel. From The Panic, the time of no dope, to The Man, who controls its ebb and flow on the streets, The Scene is a gripping work of heightened, hellish realism—a harrowing masterpiece of drug literature. To ask other readers questions about The Scene, please sign up. "La escena" es el lugar donde los yonkis van a buscar su ración de merca para chutarse la vena y quedarse tirados en un rincón durante horas. Putas, chulos, camellos, traficantes, yonkis y toda clase de gentuza en general se mueve por las calles de La Escena bajo la mirada atenta de una policía absolutamente desbordada por la marea de mierda que desata la heroína en la ciudad. El estilo absolutamente descarnado y brutal, sin concesiones ni al lirismo ni a la compasión, proviene sin duda del tras "La escena" es el lugar donde los yonkis van a buscar su ración de merca para chutarse la vena y quedarse tirados en un rincón durante horas. Putas, chulos, camellos, traficantes, yonkis y toda clase de gentuza en general se mueve por las calles de La Escena bajo la mirada atenta de una policía absolutamente desbordada por la marea de mierda que desata la heroína en la ciudad. El estilo absolutamente descarnado y brutal, sin concesiones ni al lirismo ni a la compasión, proviene sin duda del trasfondo del autor: yonki perdido, habitual de la cárcel (tres de sus siete libros fueron publicados mientras Cooper estaba empadronado en la trena) y personaje difícil de tratar. He nuzzled his head between her breasts, his hair cold and dead. "Baby, I had a hard day. You just believe it, I had a hard day. I'm gonna quit it, I'm gonna give this bag up, you just watch and see, baby." A long time ago, she had been a very fast girl, quick to catch on, popular in the girls' club at school, sought after, kissed and petted and loved. Right now it seemed almost silly that she should be hooked, with scars on her arms, with nothing but a housedress on because she felt too lazy an He nuzzled his head between her breasts, his hair cold and dead. "Baby, I had a hard day. You just believe it, I had a hard day. I'm gonna quit it, I'm gonna give this bag up, you just watch and see, baby." Tough 1960 urban crime and addiction novel, set almost entirely within an African American setting. Comes on like blaxploitation at first, but get beyond that-- there was no such thing as blaxploitation in 1960, that was a much later complication. A lot of the slang and drug patter here would have read like Martian-language back in 1960 to anyone outside of the inner city drug milieu. The narrative itself reads and feels authentic, a painfully extracted biopsy along the axis of race and drug abuse, in the America that fancied itself the grand accomplishment of the postwar era world. Too dope. Thoroughly enjoyed readig this book! What I could understand of it was good...it kept flipping scenes too much..., but Cooper did do a good job of depicting street life. This is the perfect book if you enjoy exploitation movies of the 60's. About Clarence L. Cooper Jr.
Clarence Cooper Jr. wrote seven crime novels, which describe life in Black America, in the underworld of drugs and violence and in jail (The Farm). Cooper worked as an editor for The Chicago Messenger around 1955. He was said to have started taking heroin at this time. His first book, The Scene was a success with the critics. It had been published by serious Random House, but his other three books Clarence Cooper Jr. wrote seven crime novels, which describe life in Black America, in the underworld of drugs and violence and in jail (The Farm). Cooper worked as an editor for The Chicago Messenger around 1955. He was said to have started taking heroin at this time. His first book, The Scene was a success with the critics. It had been published by serious Random House, but his other three books were published by Regency, a pure paperback publisher, while Cooper was in prison in Detroit: Weed (1961). The Dark Messenger (1962) and Yet Princess Follow together with Not We Many, as Black: Two Short Novels (1962). Harlan Ellison was his editor. His last book, The Farm, plays at the Lexington prison for drug addicts, once called U.S. Narcotics Farm. Cooper' s addiction and a growing alienation from those around him, perhaps driven by the hostile response to his fiction all contributed to his early destitute death. Books by Clarence L. Cooper Jr.